What Types of Activities Can I Do? Does it incorporate new learning? Is the activity reasonably complex? Is the activity varied and interesting? Do you engage in the activity frequently? Chiropractors care about your overall health and can help point you in the right direction if you have any questions or concerns about this topic. 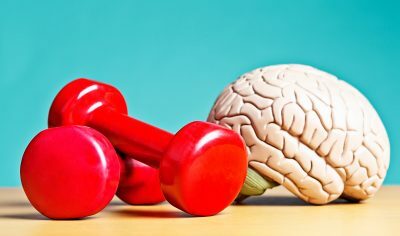 Whatever activity you choose, remember that brain health is just as important as physical health, so keep finding new and creative ways to keep those mental juices flowing. 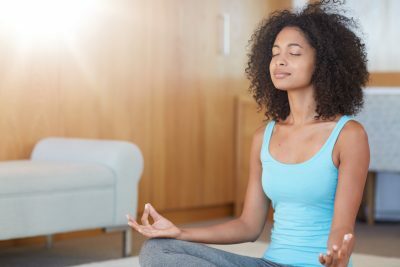 Melone L. 10 brain exercises that boost memory. EverydayHealth.com. 2016. Available at: http://www.everydayhealth.com/longevity/mental-fitness/brain-exercises-for-memory.aspx. Accessed November 1, 2016. Alzheimer’s Australia. Mental exercise and dementia. 2016. Available at: https://www.fightdementia.org.au/files/helpsheets/Helpsheet-DementiaQandA06-MentalExercise_english.pdf. Accessed November 1, 2016. Lim S, Kim E, Kim A, Lee H, Choi H, Yang S. Nutritional Factors Affecting Mental Health. 1st ed. Seoul, Korea: Department of Food and Nutrition; 2016. Rathod R, Kale A, Joshi S. Novel insights into the effect of vitamin B12 and omega-3 fatty acids on brain function. J Biomed Sci. 2016; 23(1). doi:10.1186/s12929-016-0241-8. Chang Y, Chu C, Wang C, Song T, Wei G. Effect of acute exercise and cardiovascular fitness on cognitive function: An event-related cortical desynchronization study. Psychophysiology. 2014; 52(3): 342-51. doi:10.1111/psyp.12364. Godman H. Regular exercise changes the brain to improve memory, thinking skills. Harvard Health Blog. 2016. Available at: http://www.health.harvard.edu/blog/regular-exercise-changes-brain-improve-memory-thinking-skills-201404097110. Accessed November 7, 2016. Osteoarthritis is the most common form of arthritis. In fact, it is a growing epidemic in Canada which is only expected to rise as the population ages. Osteoarthritis is described as the “degeneration of joint cartilage and underlying bone” often resulting in pain and stiffness. Even though osteoarthritis can affect any joint in the body, the most commonly affected joints are in the hands, knees, hips and spine. It is often considered as “wear and tear”; however, it is believed instead that it may be due to abnormal stress or injury to the joint(s). What we know is that osteoarthritis affects one in ten Canadians. By 2040, it is estimated that approximately 470,000 Canadians will suffer from osteoarthritis1. Unfortunately, for many, osteoarthritis is a painful condition that can make daily activities very difficult. To best manage the symptoms and prevent the progression of the condition, it is important to pay attention to early signs. Although there is no cure for osteoarthritis, there are options that can reduce the risk and relieve pain, stiffness and improve function. 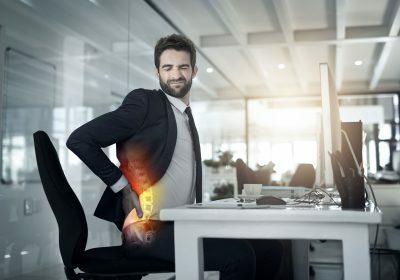 Joint stiffness: Aching, pain and/or stiffness usually occur in the morning or after a period of inactivity and once movement resumes. Typically, stiffness may decrease after about 30 minutes. Joint swelling: A person may notice some swelling in the joints and a reduction in range of motion. Joint crepitus: The joint may grind, grate or experience a crackling sensation, commonly accompanied by a cracking sound. Pain: Pain is usually worse after activity and improves with rest. 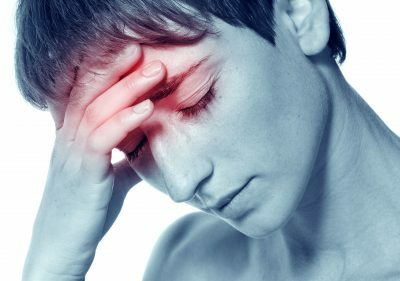 Early on, the pain may only be triggered by high-impact activities but as it progresses, there may be more frequent episodes of pain. 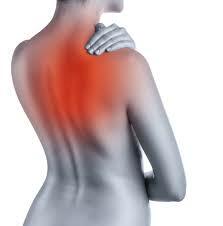 The joint pain or discomfort may affect the person throughout day. Exercise: Exercise can help manage symptoms while increasing your endurance and strengthening the muscles that help support the joints. Good options for activity include walking, biking and swimming. Download the Straighten Up Canada app for easy to follow exercise videos. Get moving! Weight management: Excess weight can be an important risk factor due to the additional stress put on your weight-bearing joints. Even a small amount of weight-loss can help reduce pain and limit further joint damage. 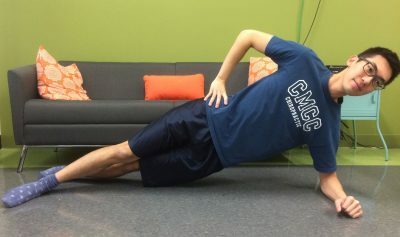 Mobility: Gentle stretching may help improve flexibility and mobility, while decreasing stiffness and pain. Exercises like yoga and tai chi can help manage stiffness. Heat and cold: Applying heat and cold can help relieve pain when aggravated. Heat can relieve stiffness, while ice may help with pain. Manual therapy: Manual therapy can help provide treatment not only for pain management, but help improve function and prevent progression. 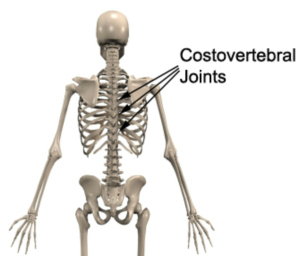 Addressing biomechanical dysfunctions can help relieve pressure on joints. Positive attitude: Studies have demonstrated that a positive attitude can help increase a person’s ability to manage pain. Like all medical conditions, it’s important to ask questions and get the appropriate information to best manage the symptoms and slow down progression. Osteoarthritis can alter the way you live your life, speak to chiropractor Dr. Luciano Di Loreto & Associates today. Children have another month before they’re back to school and summertime is a great season to get kids outdoors and active. It can sometimes be a struggle to get children away from technology to spend more time outdoors practicing activities and sports, however it is so important to keep them physically active and set themselves up for success in the future, including good MSK health. Children aged 5–11 should participate in at least one hour of physical activity each day to help build strong bones and muscles. But sometimes getting children interested and motivated to go out and play is easier said than done. There are numerous benefits to active living for the young and old: it improves self-esteem, the health of the cardiovascular system, bones and muscles, as well as posture; it also encourages healthy growth and development. Outdoor activities are also a great way to get children to socialize and meet new friends. To meet the suggested daily requirements, children aged 5–11 years should minimize the time they spend being sedentary each day. This may be achieved by limiting recreational screen time to no more than two hours per day; being less sedentary is associated with additional health benefits. Also, consider limiting sedentary (motorized) transport, extended sitting, and time spent indoors throughout the day. 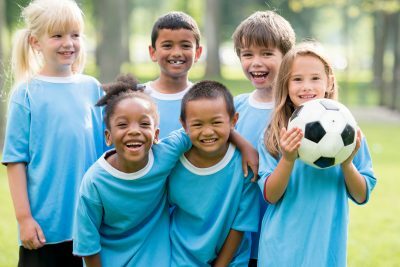 Consider signing children up for summer programs that involve physical activity and get them involved in summer team sports. Another great way to teach children the importance of physical activity is to do something active as a family as often as possible—whether you go for a bike ride or play a game of soccer together. Setting an example is the best way to show children to the importance of physical activity. 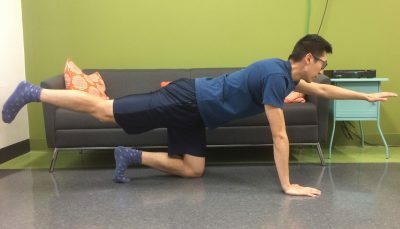 You can also download the Straighten Up Canada app for easy-to-follow videos that demonstrate simple activities and exercises that can be done anywhere.